Mature volunteers are needed to stand alongside children during some of the most confusing days of a child’s life: When a judge needs to make a custody decision. To offer information about the volunteer experience, First Presbyterian Church will host a free lasagna supper on Wednesday, Feb. 27, at 6 p.m. in the church’s Family Life Center in the gymnasium located at the back of the church campus at the corner of East College Street and Mulberry Avenue. No reservations are needed; people are invited to simply show up. The congregation became involved in the CASA project as the First Presbyterian Mission Committee assessed community needs, McVey said. Bonnie Sullivan, the CASA Volunteer Supervisor for Junior’s House, is a member of the congregation and was able to explain the specialized need. 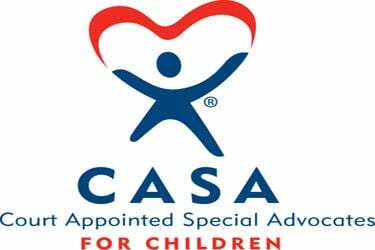 CASA volunteers come from all sorts of professional backgrounds, Sullivan said. Many are retired, but some work full-time — however in positions that allow for the flexibility required to meet court dates. Volunteers are given 30 hours of training. Every case is different, Sullivan says. The program has been used in Lincoln and Marshall counties since 2014. Lincoln County currently has 10 volunteers, Sullivan says, but could use many more.